WASHINGTON –SPI: The Plastics Industry Trade Association will present the second annual Innovation in Bioplastics Award to Teknor Apex for the development of Terraloy® PLA compounds which exhibit both high impact and heat resistant properties. SPI’s Bioplastics Council noted that Teknor Apex’s free-flowing resins, used in both injection molding and extrusion/thermoforming processes, streamlines the PLA crystallization process, eliminating the post-annealing or post-crystallization process. The award will be presented during the Biopolymers Symposium in Philadelphia, May 12-13, 2014. "Teknor Apex is honored to receive the Innovation Award from the SPI Bioplastics Council," said Edwin Tam, manager of new strategic initiatives. "The work of our Terraloy technical team, headed by technical manager Greg Anderson, along with our research partner Cerestech Inc., has enabled us to enhance polylactic acid in areas such as heat resistance, impact resistance and processability while retaining key bioplastic values such as FDA compliance, high bio-based content, and compostability." Tam cited a life cycle analysis showing that Teknor Apex's Terraloy PLA compounds with high heat distortion temperatures produced 125 percent less greenhouse gas than high-impact polystyrene and 40 percent less than low-density polyethylene. Teknor Apex was selected by a panel of three authoritative industry representatives from SPI’s Bioplastics Council looking for products that exhibited innovation, sustainability and would have an impact on the market. Other award finalists included Arkema, Bondable Biopolymers, Genpak, Newlight Technologies and SUPLA. “Innovations such as this are what keeps the plastics industry on the cutting edge of technology,” added SPI President and CEO William R. Carteaux. 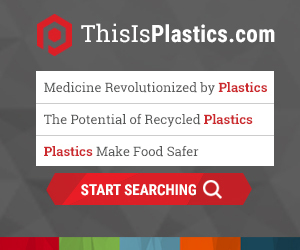 The Innovation in Bioplastics awards program, launched by SPI’s Bioplastic Council in 2013, recognizes outstanding innovation in unique and creative application of bioplastics materials, products or processes by a company. Entries are judged on innovation, sustainability benefits and impact on the marketplace. Teknor Apex, a privately held firm, was established in 1924. Headquartered in Pawtucket, R.I., it manufactures in the U.S., Singapore, China and the U.K. and sells in 90 countries. Terraloy® is trademark of Teknor Apex Company Bioplastics Division, the product lines include Thermoplastics Starch with petroleum based Polyloefins, Thermoplastics Starch with PBAT, PLA Alloys with Engineering Plastics, High temperature PLA compounds, PLA process masterbatches and HFFR PLA Alloys.